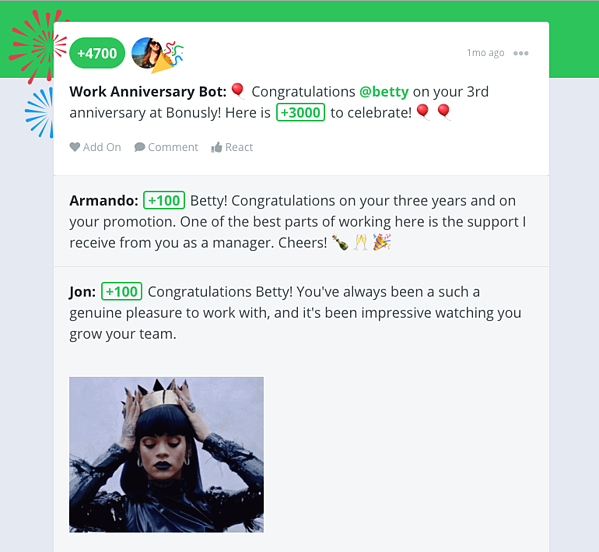 So you’ve decided to use Bonusly to build a recognition-rich culture on your team. Now what? A well-planned Bonusly launch will go a long way towards securing the success of your new employee recognition program. This is a great time to demonstrate to your employees that you care about them, that you know the work they do every day is important, and that you want them to feel appreciated. Clearly explaining the why and how of your employee recognition program will inspire high participation across your whole team. Your launch should share your goals for Bonusly, help everyone learn how to use it, and get them excited about getting started. Make it fun, engaging, and customized to your culture. We know how important it is for your employees to love Bonusly, which is why we’ve put so much emphasis on making it fun and engaging. A fun launch will help your team get a good sense of how much they’ll love and use Bonusly. Always consider how the components of your launch and the way you talk about Bonusly reflect your company culture and personality. If you’re stuck, we offer several tips for customizations throughout this post. Communicate your goals for Bonusly and why it’s different from previous recognition initiatives. Help your team understand what role Bonusly will play in your organization, and why you’ve selected it. Emphasize that Bonusly is a program for recognizing and rewarding your employees, to make sure they feel valued, and explain how the peer-to-peer aspects of Bonusly empower everyone on the team to get involved. 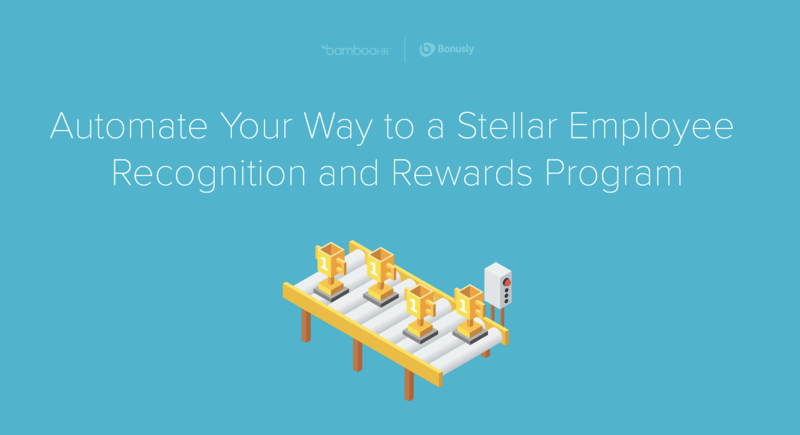 As part of your Bonusly launch, communicate that your company is prioritizing recognition of great work and help your team understand what types of work merit recognition. 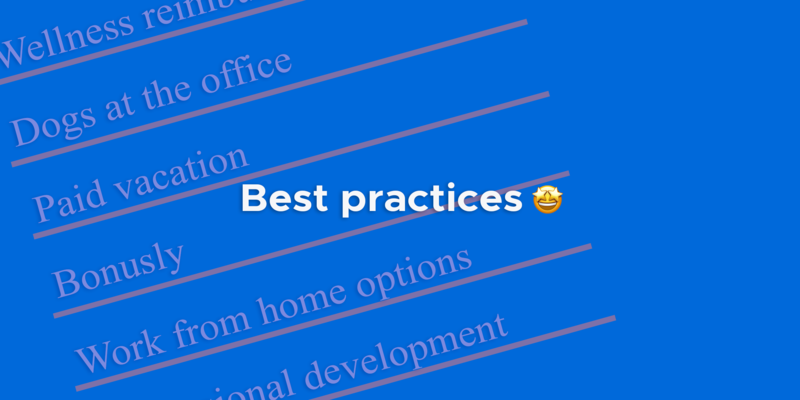 You can show everyone what recognition in Bonusly might look like by sharing a few examples, including recognition for things that are important in your culture. You can also share compelling stats from our 2018 annual report to help them see how Bonusly has helped other organizations. For example, the most popular rewards in 2018 were Amazon, PayPal, Walmart, Allowance Boosts, and Starbucks. That should give people something to look forward to! Don’t forget to include your core value hashtags in the examples to remind your employees that your company advocates for intentional culture and actionable values. This will demonstrate how your values will stay front and center in Bonusly as they’re linked to daily behaviors. We have a number of resources you can use to introduce your team to Bonusly throughout your launch. You can adjust and brand them to fit the needs and style of your organization. The most powerful way to announce Bonusly to your team is with an all-hands presentation that everyone (or most everyone) is able to attend. With an in-person or video conference presentation, you can express your enthusiasm about Bonusly and its importance to the company. To create your all-hands presentation, add your company’s branding to our slide deck template. Customize the messaging and add information that’s germane to your company, such as bonus examples and core values, as we mentioned above. Adjusting the voice and tone of the all-hands presentation is a great way to tailor your Bonusly launch to for your culture. Another Bonusly customer, Sonos, put their own spin on the slide deck by adding thought bubbles throughout the presentation with commentary from their Bonusly stakeholders. Get started with our slide deck template. Written communication is a great way to tell various company stakeholders about Bonusly before your company-wide launch and give employees something to reference after your all-hands presentation. Think about the places that your employees usually go to find information about various programs — such as employee handbooks, Wikis, Slack channels, etc. — and be sure to announce Bonusly in those locations. Customers often use our one-pager and email templates to share information about Bonusly, and they’ve also created their own posters and flyers to announce the launch around the office. One customer created a custom one-pager that emphasized their mission and values and explained how Bonusly would help support those. One-pagers like this one can be used again when onboarding new hires. 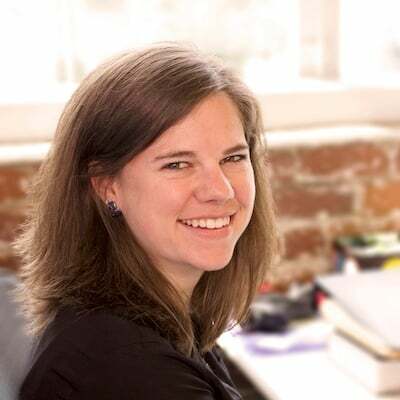 New hires can learn how to use Bonusly while getting an introduction to your company’s values. Plan your written communications using these email templates, one-pager template, and FAQ sheet template. There are a few groups of people who should be familiar with Bonusly before launch. Before you launch Bonusly, identify and train your Bonusly admins, who will manage the logistics of the program, so that they can answer employees’ questions and facilitate a smooth launch. It’s also a good idea to familiarize your company’s people managers with Bonusly so that they can act as early adopters of the program and model participation for their teams. Their active participation in the first few days after launch will help normalize Bonusly across your company. You may also want to identify recognition champions, or unofficial leaders in your organization, who can model good recognition practices on the platform. Design the training for managers and champions in order to get their buy-in and to make sure they understand best practices of inclusive and timely recognition. By training these smaller groups, you can get exposure to what might be common questions and get a handle on company-specific concerns that are likely to come up during your official Bonusly launch. Don’t forget to make these trainings engaging and customized to your culture, as well! Here’s a video you can reference to help you design your pre-launch training. 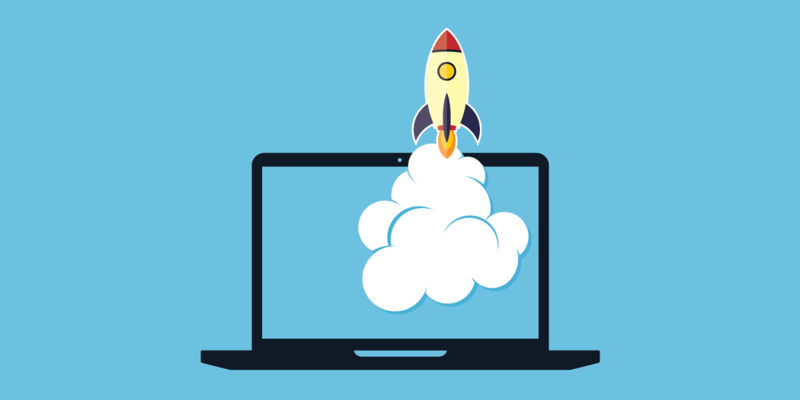 Pro tip: Your admins, people managers, and Bonusly champions play an important role in the success of your launch. Encourage them to engage with Bonusly as soon as you launch, and have them model best practices with thoughtful, timely, frequent bonuses to direct reports, superiors, and other teams. In most cases, your all-hands presentation will cover all the topics needed to help your employees start using Bonusly — it’s not rocket science! 😜 If your employees are interested in more guidance, consider offering a post-launch training to show them how and why to use Bonusly and any of the integrations you’ve set up. In addition to covering tactical tips for using Bonusly, this training is a great time to teach Bonusly best practices. Helping your whole team understand that recognition should be timely, frequent, values-oriented, personalized and inclusive will support a recognition-rich culture. 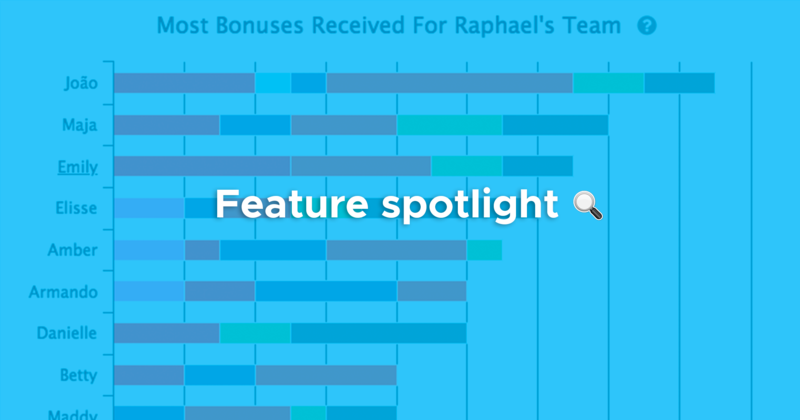 Some of our customers have also used a handful of examples of potential meaningful bonuses to illustrate some of Bonusly’s features. 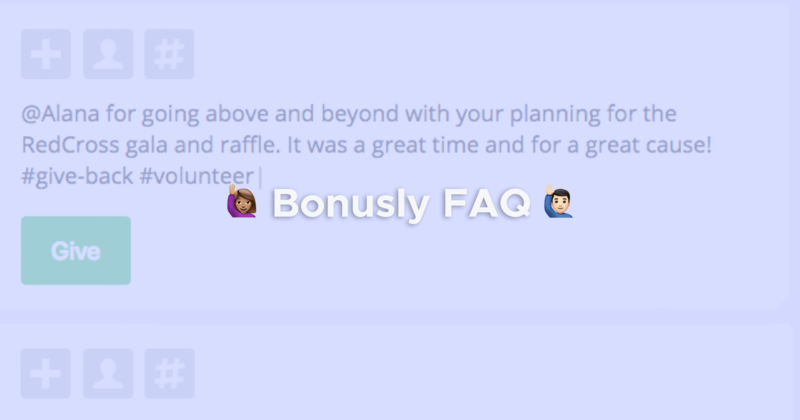 You can also use this time to answer questions that employees have about Bonusly once they’ve had some time to explore the platform after the all-hands announcement. Use this video to start planning your post-launch training. A multi-component launch will help you reach all your employees. Different communication methods resonate better with different people, so think about the best way to reach each group of your team. The best way to talk to your team about Bonusly might not be included on this list — don’t be afraid to get creative! In addition to these foundational items, additional activities unique to your organization will bring Bonusly to life for your team. The fastest way to get people to accept their invitation to Bonusly is to provide a fun incentive. The automated Welcome Award is a great start, but consider whether you want to sweeten the deal as well. At Chobani, team members have strong brand loyalty and take a lot of pride in wearing Chobani branded gear both at and outside of work. When Chobani launched Bonusly, they designed and gave out exclusive swag to the first people who logged into Bonusly and those that gave the first bonuses. For them, this was a perfect way to bring their culture into Bonusly for the launch. 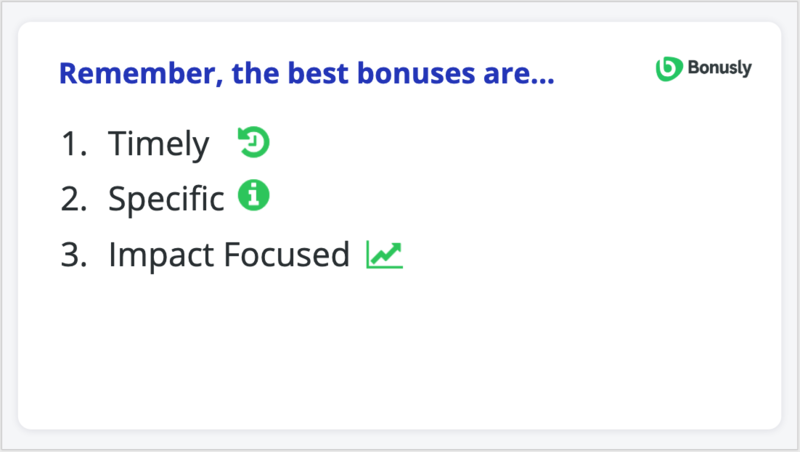 Receiving more recognition in Bonusly gives people a great initial feeling towards the platform, and we’ve found that receiving a bonus is one of the best motivators for employees to give a bonus themselves. So another way to incentivize early adoption of Bonusly is to give awards through Bonusly itself. Our customer RocketDocs set up an “Early Adopter” award and recognized those who gave their first bonuses in Bonusly. This was a great way to show people how the recognition program benefits them. 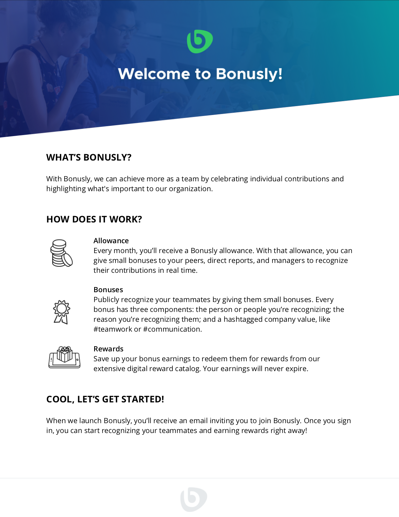 One of our customers launched Bonusly right before the holidays, when they knew everyone was looking forward to receiving their holiday bonuses. 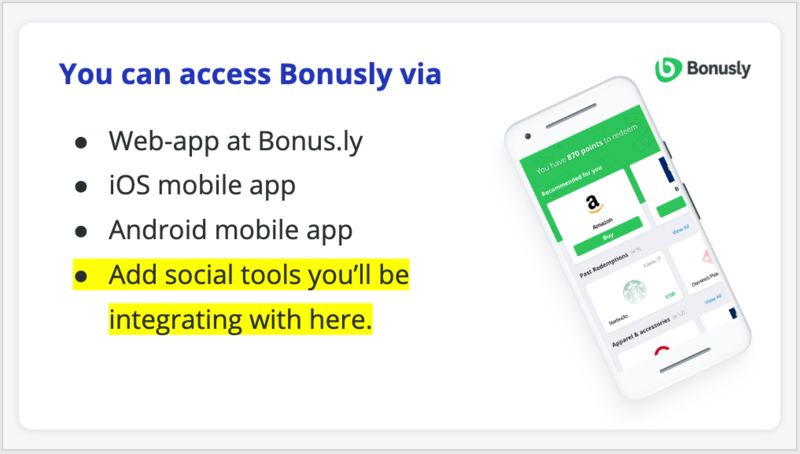 To encourage people to log into Bonusly as early as possible, the company gave their holiday bonuses on the platform. It was a great way to transition their existing programs into the new recognition system and get people excited to use Bonusly. What’s more fun than a party? Bonusly customer Blast Analytics & Marketing made their launch extra fun by throwing a party for the team on launch day. Their custom currency in Bonusly is 🌮, so they had a Taco Tuesday party to announce Bonusly. Show your team that this is an important initiative for your company by announcing it publicly on social media or your blog. If you use your social channels to share your company culture and employer brand, your Bonusly launch is also a perfect way to show how much you care about your employees and how you’re committed to a recognition-rich culture. In addition to all the resources mentioned above, our legendary Customer Success team can help provide guidance and answers to your questions! We’ve helped many companies with their launches, and our goal is to make sure that yours is a success. Don’t hesitate to reach out via this page or the chat bubble in Bonusly! Managers, are you using these Bonusly features?